Born in Manchester, daughter of Thomas & Sadie Wagner Lehan. 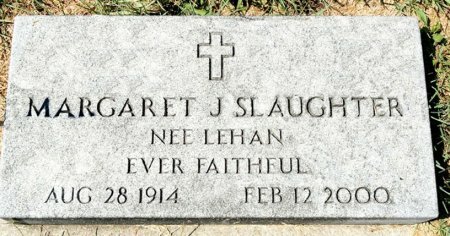 She married Robert E. Slaughter on Feb. 17, 1938. He died in 1992. Searching for MARGARET J. SLAUGHTER in Black Hawk County Iowa?